Middle Stone Age humans in East Africa may have employed varied techniques to process ochre for functional and symbolic uses, according to a study published November 2, 2016 in the open-access journal PLOS ONE by Daniela Rosso from the University of Bordeaux, France, and colleagues. 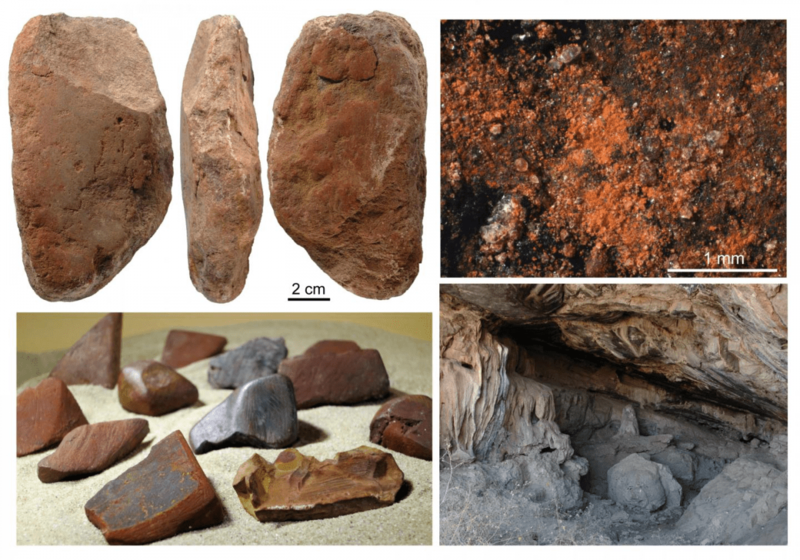 Ochre fragments-which are rocks containing iron oxides, red or yellow in color-have often been found at Middle Stone Age sites and have played a role in shaping the cultures of early African Homo sapiens. Some researchers suggest that ochre was used for utilitarian purposes, for example in glue to adhere handles to tools, whilst others believe that the pigment was used for symbolic purposes, such as body painting or creating meaningful patterns. However, few ochre processing tools have been studied in detail to understand how this material was processed. The authors of the present study used microscopy, spectroscopy and X-ray techniques to analyze 21 ochre-processing tools and two ochre-stained artefacts from the Porc-Epic Cave, a 40,000-year-old Middle Stone Age site in Ethiopia. The researchers found that the tools appeared to have been used to process different types of iron-rich rocks. A range of stone types were used as grindstones, producing ochre powder of different color and coarseness, likely employed to suit different functions, revealing a high degree of behavioral complexity.